 As a member of The Energy Cooperative, you will receive a paper ballot and annual meeting notice. Each ballot contains a unique passcode that gives you the option to vote online. Online voting begins April 5, 2019 and ends at 4:00 p.m. EST, May 13, 2019. Members can vote one of three ways. Mark and return the paper ballot in the return envelope. Click the Vote with Passcode button below. This method requires you to log in using your member number and the unique election passcode provided in the paper ballot. Vote in SmartHub without a passcode. This option works with your current login information for the SmartHub website (by clicking the Vote Now button in the upper right hand corner). It does not work on the SmartHub mobile app. Our vendor will verify your vote is only counted once. Meet The Candidates! Click photos for candidate videos. Schmidt has served five terms on The Energy Cooperative Board. 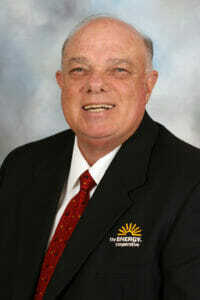 He serves on the Ohio Rural Electric Cooperatives, Inc. (OREC) Board and sits on its Safety & Executive Committees. He is the retired owner-operator of Timbuk Farms in Granville. Schmidt has served on many state and national industry and church boards and was the president of a national trade association. He is a member of the Highwater Congregational United Church of Christ and serves as Treasurer. Schmidt served on the McKean Township Zoning Board for six years. He attended The Ohio State University and earned a bachelor’s degree in Forestry at Michigan State University. He served as an officer in the U.S. Army. He earned the Credentialed Cooperative Director and Board Leadership certificates from the National Rural Electric Cooperative Association. Schmidt is married to Nancy and has four children. Dupps has served three terms on The Energy Cooperative Board. He is a retired educator who began his career as an English and Government teacher. He then became the Principal of Heath High School from 1973 to 1982 and the Superintendent of Heath City Schools from 1982 to 1994. 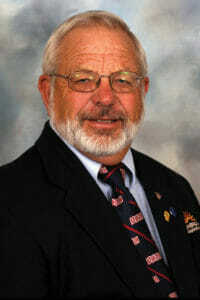 Dupps was the Mayor of the City of Heath from 1998-2007. Dupps is the Chairman of the Licking County Hospital Commission. He is a member of the Heath Sertoma Club, the Newark Rotary Club, and the Heath Ameican Legion post 771. Dupps received both his Bachelor of Science and Master of Arts in Educational Administration from Ohio University in Athens. Dupps earned the Credentialed Cooperative Director and Board Leadership Certificates from the National Rural Electric Cooperative Association. He attends the Heath United Methodist Church. Dupps is married to Shirley and has three children. Barrett is a self-employed artist and previously owned The Frame Gallery. She has worked as a Marketing Director for Domino’s Pizza in Zanesville. Barrett currently serves on the Licking Memorial Hospital Development Council and served on Park National Bank’s Freedom Years Advisory Council. Barrett was elected to three terms (6 years) as Third Ward Representative to Newark City Council. She is a 50 Year member of the 20th Century Club and a member of P.E.O. Chapter DL. She has also served on many non-profit boards throughout Newark and Zanesville. She graduated from Newark High School, attended the Columbus College of Art and Design and has a degree in Business from Central Ohio Technical College. She attends First United Methodist Church in Newark. Barrett has three children. Keller grew up on a family farm located on the county line of Licking and Fairfield Counties. He attended the Walnut Township schools and graduated from Millersport High School. Keller has been involved in several areas of Healthcare for more than 37 years. Keller and his wife Karen reside in Hebron Ohio and are the owners and operators of Generation Healthcare Inc., which includes overseeing operations at the Flint Ridge facilities located on Main St. in Newark, Ohio. Keller has served on several church boards and is currently a member of the Harbor Hills building committee. He is a member of Faith Memorial Church in Lancaster Ohio but currently attends VGF - Cornerstone in Newark. Keller has volunteered and worked charity events for the Heinzerling Foundation over the past 25 years. His hobbies are boating, flying, singing and of course enjoys hanging out with his five grandsons. Buckingham has served three terms on The Energy Cooperative Board. He is a Master Electrician who has operated Buckingham Electric LLC in Knox County since 2003. He received his Bachelor of Science in Electrical and Computer Engineering from Ohio Northern University. Buckingham has served as the Board President of the East Knox Board of Education for the past four years. He is a Deacon and Sunday School teacher at Millwood Church of Christ. He earned the Credentialed Cooperative Director and Board Leadership Certificates from the National Rural Electric Cooperative Association. Buckingham is married to Amy and has three children. Lothes is a lifelong resident of Mary Ann Township, Licking County. He graduated from Licking Valley High School and Licking County Joint Vocational School. He has been the co-owner and operator of R & L Excavating since 1986 and has been farming for 45 years. 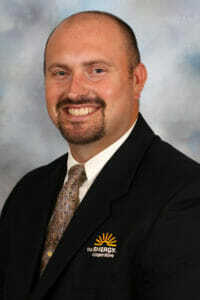 He is currently serving as a Trustee for Mary Ann Township and a member of the Hanover Presbyterian Church. He is past President of the Licking Valley Lions Club. Lothes is married to Cathy and has one child. It is not necessary to mail your ballot if you plan to vote through SmartHub or by using the unique passcode to vote online. In you have problems voting, click the support button below or call 952-974-2339.